Derek Daly's Nissan goes under Jim Downing's Argo JM19-Mazda. 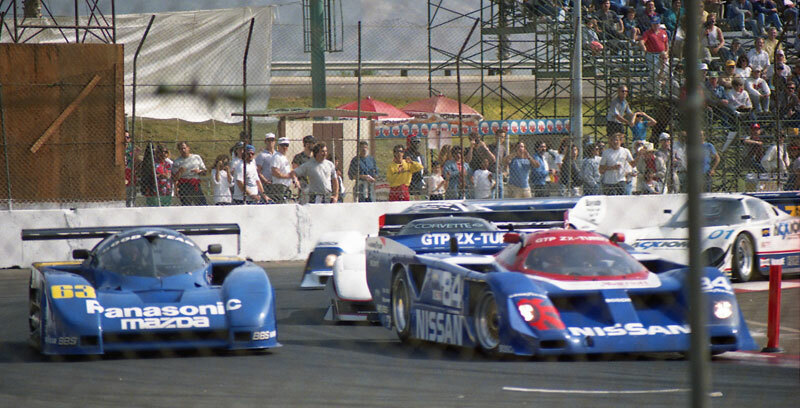 Want to learn more about the golden era of IMSA GTP racing from a guy who was there? Visit Marshall Pruett's grandtouringprototype.com.